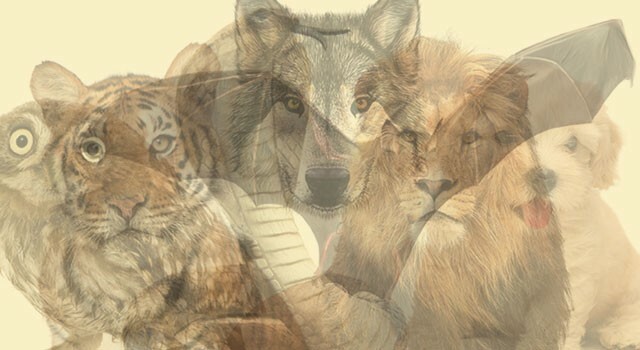 Wisdom Science: The Animal You See First Reveals Who You Are! Seeing the Cobra first indicates you're a very well integrated person. You're a great mix of brains, heart, and emotions! You never lose your cool, yet you're not all wrapped up in yourself. If more people had your balanced personality we'd all get along better! In all the ways that matter you are a very strong person: you have an inner core of resolve and strong morals. However, people don't read that way because you're also in-touch with your emotions! You also can feel the emotions of those around in a strong way and you're extremely good at "reading" people! You're a self-reliant and independent person. You have a strong need to be free and follow your own heart AND you actually thrive when left to pursue the kind of life YOU believe to be best for yourself. You truly flourish when given the opportunity to be yourself without too many rules and regulations. You're an open minded person who always sees what other's don't. You're an understanding person who doesn't judge people harshly, but always tries to understand what they are going through. You don't get off on gossiping or making other people feel bad, you have possess a natural kindness that you share around. You're a problem solver who can win at life by relying on your natural gifts and inborn talents. Your mind is a beautiful thing that works in a way different from others, this makes you great at giving advice and helping others. You can see the way through any situation, so people need to hear your take! You're a natural born leader and you're great at inspiring and guiding other people without being bossy. Life works best for you if you're left alone to follow your heart and if you don't have someone trying to control you or push you down with a bunch of rules or negative feedback. You can't help but be kind to others! It's just simply in your nature. You don't have to go out of your way to be nice, you were born a nurturing person. And others can feel this about you as soon as they meet you--you have a powerfully positive energy that people love to be around!